NEWS: 50 Cent Lined Up To Work With Bruce Willis! 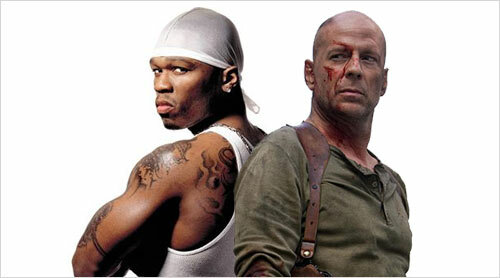 50 cent has been lined up to star alongside Bruce Willis in a new action movie called the “Set Up”. The movie is currently in pre-production and will be directed by Mike Gunther and also feature Paul Walker from “The Fast and Furious”. 50 cent recently signed a $200 million dollar movie deal to star in 10 movies. This film looks to be part of the deal and see Curtis “50 Cent” Jackson star alongside some big names in the movie industry.